care IS A Palestinian group of doctors and psychologists that work closely with Israeli counterparts. Rabbis for Human Rights conducts important work with the disadvantaged Jahalin Bedouin community. A NEW DAWN IS An Arab-Jewish community development organization based in Rahat, Israel. Creativity for Peace’s mission is to train young Palestinian and Israeli women to be leaders and to partner together to work for peace. we fund <strong>Humans Without Borders</strong> to give disadvantaged and sick Palestinian children a day at the seaside. Summer 2017 and the Middle East is beset with rumours and conflict issues. The political tectonic plates continue to shift as alliances form or fall, positions change and where the only constant is uncertainty. The Gulf Cooperation Council continues its tense stand-off with Iran. Other Arab Nations deep boycott Qatar over ‘terrorist links’ whilst invited Turkish troops enter the Kingdom. Saudi Arabia holds ‘secret’ talks with Israel in readiness for a full-on trade deal. Syria continues to suffer, Libya falls into anarchy and Iraqi forces are locked in a deadly battle with Daesh. Against this background the Israeli-Palestinian impasse continues. Numerous initiatives to resolve the conflict come and go. The Trump determination to bring peace to Israelis and Palestinians has fallen at the first hurdle. Rumours of private shouting matches, accusations and counter arguments has led the US administration to walk away from a conflict President Trump was planning to solve just months before. There is no easy answer to decades of mistrust, violence and revenge. For us, it’s about the children and their communities too easily forgotten after decades of conflict. If you look after the children, the future will look after itself. We have much to be proud of and thank you for your continued support. It announces the recipients of our 2017 Grants. We welcome two new affiliates. And we publish three important features by women activists on the issues surrounding the conflict. 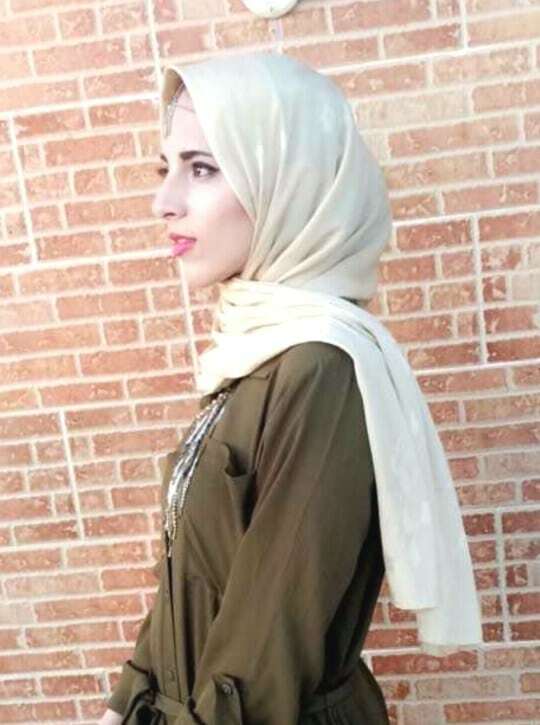 Our Gazan correspondent Dalia al-Najjar. An interview with Sara Khan. And an uplifting article the Women’s Peace Conference in Tel Aviv. We welcome new affiliates from Palestine and Israel. 250 women, Israeli and Palestinian met in May. This time, Professor Sarah Brown talks to Sara Khan, women’s rights activist. Her latest despatches, with strong views. Sponsored runners raised over a thousand pounds for us. Latest news from the region including controversy at the Western Wall. Each year Children of Peace awards affiliate groups in Israel and Palestine a Children of Peace Grant for carrying out extraordinary work for peace, reconciliation and trust building in the arts, education, healthcare or sports. We are delighted to announce the award recipients. A New Dawn in the Negev is an Arab-Jewish community development organization based in Rahat, Israel. The 2017 Children of Peace Grant will assist in the Sarab: Strings of Change music programme for the Negev Bedouin community, offered to children in a local Rahat elementary school. Music education fosters the development of creativity and attentiveness, feelings of identity and belonging. It can endow skills that transfer into academic, social and work successes. Above all, it helps to promote cooperation and communication between Arab and Jewish communities. Sarab (meaning Oasis) was launched in 2015 with the active engagement of well-known conductors in Israel, Venice and Dresden. The Grant will purchase 15 additional violins and open a new class in a high school. Creativity for Peace’s mission is to train young Palestinian and Israeli women to be leaders and to partner together to work for peace. The beginning of the process is a three-week peace camp in New Mexico that introduces young Israeli and Palestinian women to communication, dialogue, therapeutic art and other methods that promote reconciliation and peace. Upon their return home, the participants make a commitment to two years of in-depth training. Part of that training is a series of workshops entitled Emotional Resiliency for Peacemakers, which includes conflict resolution and emotional self-care techniques that strengthen participants’ capacity to continue their work as peacemakers. The Grant will help to support the Emotional Resiliency for Peacemakers peace camp. CARE will implement a “cognitive behaviour therapy for trauma and PTSD among children“ programme. It will target both school counsellors and children 8 – 12 years old, Christian, Jewish and Muslim, both females and males, coming from vulnerable areas of the West Bank and Israel. The grant will be used to build working partnerships and peaceful coexistence between Israeli and Palestinian professionals working with victims of trauma, domestic violence and bereavement. Previous recipients of a Children of Peace Grant Rabbis for Human Rights conducts important work with the disadvantaged Jahalin Bedouin community. With the Jahalin communities currently experiencing very high levels of trauma and fear stemming from record-breaking numbers of demolitions in 2016 and on-going threats to homes, schools and other community structures, these funds will play a significant role in supporting the psycho-social well-being of the local children. 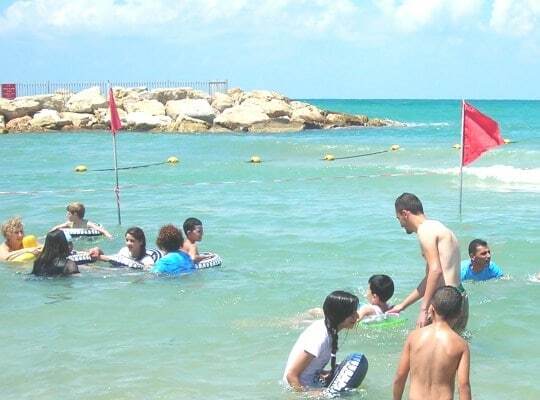 The Grant will go to existing educational and recreational activities, including a trip to the sea, organized or co-organized by Rabbis for Human Rights for the children of around four Jahalin communities (including Abu Nawahr, Khan al Akhmar and Wadi Katif, all threatened by demolition) serving approximately 100 children ages 6 – 15 years. Each August, Children of Peace funds the Seaside Project with affiliate Humans Without Borders. Our research revealed that a dream for most West Bank landlocked Palestinian children is to see the seaside. We help to make that dream come true. Dozens of disadvantaged and sick Palestinian children and their families cross into Israel by provided transport and spend a memorable day by the seaside in Tel Aviv, accompanied by doctors, paramedics, translators, student volunteers, peace activists thanks to Humans Without Borders Team. An Israeli Palestinian chef from Jaffa provides the meals and the children are welcomed on the beach by local Israelis for an unforgettable day together in peace. Located in the Wadi Salqa area, the deprived child association (DCCA) is a humanitarian, non-governmental, non-political, non-denominational and non-profit organisation. It seeks a safer and more equitable life by tackling diseases, poverty and violence in marginalized areas of the Gaza Strip Palestinian territories. DCCA was founded in 2003 with a specific mission to connect hearts to the oppressed; as a result of man-made disasters; by providing dignity, empowerment and independence. This is to be achieved by building initiatives which provides real benefits. DCCA pursues a peaceful, safer and just existence in the most marginalized areas in the Gaza Strip by adopting the following strategy of the association: Health Care, Education, Economic Empowerment, the protection of children, women and community integration and rapid response to emergencies and crises. DCCA strongly supports the work of Children of Peace based on our shared values, conviction and human values that the sacrifices of peace are better than the suffering and pain of war. Tamar Center Negev (TCN) is a grassroots organization bridging the socio-economic gaps between Bedouins and the rest of Israeli society through education. The Bedouin community is 25% of the Negev population, with two-thirds under the age of 18. It is estimated that in 20 years, the Bedouin community will make up approximately 50% of the Negev population. The youth are the worst performing students in Israeli society by all standards, with less than 1% achieving high-matriculation and 36% dropping out by the end of 12th grade. Through improved and equal access to the highest achievement in high school level STEM education (5 units of matriculation), we at Tamar enable Bedouin youth to break the cycle of poverty. In the 2016/7 school year, 200 Bedouin students, grade 9-12, studied at Tamar Center Negev’s Excellence in Science project. On May 22, 80% of our first year cohort (38 students) will take the Israeli Bagrut (matriculation exam) in Math. In comparison, in 2015, Rahat, the largest Bedouin city, with 27,000 students, sent only four Bedouin students to take the matriculation exam. Our success is an unprecedented improvement in the number of students eligible for the highest matriculation in math, after just one year of activity, hard work and dedication of the students, teachers and parents of Tamar Center Negev. We are interested in being part of the Children of Peace Coalition as we believe that investing in education in the young and impoverished Bedouin community will bring us closer to peace. Last May an extraordinary event took place. 200+ women – Israelis and Palestinians held an open air Women’s Peace Conference in Tel Aviv. It received world attention. Friday, May 18th, was a bright and pleasant early summer day in Tel Aviv. The Rothschild Boulevard was bustling with people running errands, shopping for Shabbat and enjoying a morning coffee in the outdoors. However, at the heart of the boulevard, something special and exciting was about to happen. 250 women, 100 Palestinian and 150 Israelis, came together for a Women’s Peace Congress, organized by Minds of Peace. I was there, together with 25 members of Women Wage Peace, the fastest growing and most inclusive women’s grassroots peace movement in Israel, calling for a mutually binding peace agreement between Israel and the Palestinians. We were there at 10am, in our white shirts and turquoise scarves, to welcome our Palestinian partners, who arrived three hours later, after being held for a long time at the checkpoint. As they were getting off the buses, they looked tired and apprehensive. We welcomed them with cheers and applause and soon enough, fatigue and concern gave way to excitement and vital conversations. “We, Israeli and Palestinian women, are united in aspiring for peace, security and equality. We call on both sides to make efforts to reduce the violence and to educate for peace. We call for the active engagement of women in developing gender sensitive security measures and a gradual removal of internal checkpoints to allow greater freedom of movement”. We, the 20,000+ members of Women Wage Peace know that peace is possible. The Women’s Peace Congress was yet another opportunity for us to share our vision and commitment with like-minded sisters from Israel and the Palestinian Authority. In the latest of her regular series of exclusive interviews Professor Sarah Brown talks to Sara Khan, women’s rights activist. Sara Khan co-founded Inspire, an NGO working to counter extremism and gender inequality, in 2008. In 2016 she published The Battle for British Islam: Reclaiming Muslim Identity from Extremism, co-authored with Tony McMahon. This charts the rise of extremist groups within Britain, and describes the important work done by Muslim activists seeking to counter their influence. Sarah Brown: Can you remember how you first became aware of the debates over Israel/Palestine? Have your views on the topic evolved or shifted over time? Sara Khan: I first was aware of the Israel/Palestine issue while watching the news as a child. We hardly talked about it at all at home as a family. I guess I saw it much more as a political issue – and still do to some extent. However, it was when I was at university I came across how the conflict was deliberately being turned into a religious issue as opposed to a political issue. I saw very polarised positions from both sides, an us-versus-them narrative which ultimately dehumanised the other side. Those entrenched in such a Manichean worldview couldn’t feel any empathy or call out the atrocities that were being committed on their respective side even when children were being killed – whether it was young Palestinian children being killed by members of the IDF or Israeli children being blown up on a school bus by Hamas. I did not witness a middle ground – or a ground of reconciliation. People often talk now about the phenomenon of young adults being stuck in echo chambers where alternative viewpoints are deliberately ignored; the fact is this has always been the case on the Israel/Palestine issue. Over time, I did become more increasingly aware that much of the anti-Semitism I saw among some Muslim communities gained oxygen from the Israel/Palestine conflict, but equally religious extremists deliberately using the conflict to promote anti-Semitism. Often they would make this conflict a key religious issue and thoroughly exploited the issue in an attempt to radicalise people into joining extremist groups. 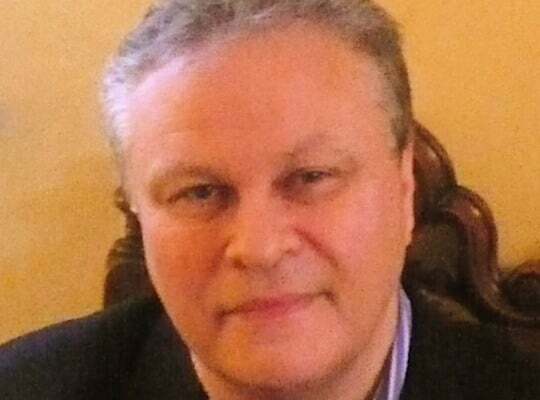 The first time I ever came across anti-Semitic views was at school when I was about 12 (or thereabouts) and we were learning about the Holocaust in history – and I remember hearing incredibly virulent anti-Semitic view from a fellow Muslim pupil. For someone who doesn’t have the best of memories I do still remember that incident vividly – it really shocked me – I had never been exposed to such hatred and looking back now, in that day and age when we didn’t have social media, I can only conclude such views must have come from his parents. It’s the same today when teachers often contact me and say young pupils in their class have been expressing anti-Muslim abuse to Muslim children – and they know that it is the parents who have been sharing such hate-filled views with their children. Sara Khan: It's hard to be optimistic about the Israel/Palestine issue. This bottom-up approach is what I lay my hope in for the future. When ordinary people from both sides demand a better approach than what their current leadership are offering. I’ve never been to Israel/Palestine although I would very much like to go – and in particular seeing the work of civil society groups who are working together for peace and reconciliation on the ground. Sarah Brown: This polarisation extends outside the region. Israel/Palestine is a topic which often creates tensions between British Jews and Muslims. How can people best try to address what sometimes seems an unbridgeable gap? Sara Khan: Of course this polarisation often extends to the UK. I do worry about rising levels of both anti-Semitism and anti-Muslim hatred. There are organisations in the UK who I believe deliberately whip up hatred of the other (while deceptively claiming it’s about the I/P conflict) – it’s important that we publicly call them out and push back against their divisive toxic narrative. I was pleased to see for example Citizens UK call out the anti-Semitism promoted by a Muslim doctor. We have to challenge hate wherever it comes from. Organisations like Tell MAMA and Faith Matters have done much work in building bridges with British Jewish organisations; this has often resulted in Tell MAMA experiencing outright hostility from some Muslim activist groups who themselves have been accused of anti-Semitism and building mistrust between Jews and Muslims. Equally organisations like CST have reached out to Muslim organisations and mosques providing support and assistance. They also have a record of opposing attempts by the far Right and counter-jihad groups to convince Jewish people to support anti-Muslim projects. There are new networks emerging among Jewish and Muslim women for example Nisa-Nashim led by Laura Marks and Julie Siddiqui. I was honoured to be invited to be the guest of honour at JCOSS school for their Celebration Awards Evening. And of course great organisations like Children of Peace fill me with much hope for the future. This bridge building is vital work; and again demonstrates that the future lies with civil society groups and ordinary people in breaking down the us versus them worldview and seeking to build a better world for all. Sarah Brown: Your own focus over recent years has been countering extremism and radicalisation amongst British Muslims. One common talking point is the difficult of identifying when religious conservatism shades into extremism. The same is true on the other ‘side’. One person’s muscular secularist is another person’s anti-Muslim bigot. Could you comment on some aspect of this complex spectrum? Sara Khan: Religious conservatism exists in all faith and is part of a spectrum of diverse views. On one end of that faith spectrum you have orthodox, ultra-conservative views, on the opposite end, progressive, liberal and muscular secular views – and of course everything in between. That spectrum is indeed complex, and you find people of faith throughout their lives moving along in different directions on that spectrum! In my book, The Battle for British Islam, I define extremism as any who incite hatred, discrimination and violence for political, ideological or religious causes. Extremism cannot just be about violence. I believe in the 21st century universal human rights norms should be the means by which we judge extremism. Of course human rights includes freedom of religious belief – protected under Article 9 of the ECHR. Are people of faith entitled to hold the religious belief that homosexuality is a sin for example? Yes they are – however under human rights norms and legislation, the manifestation of that religious belief can rightly be curtailed if hate, discrimination or violence is advocated. This is why using human rights is an ideal yardstick and prism to judge extremism. Our Gaza correspondent takes a look at some very difficult and powerful questions. I had this conversation with an Israeli friend who was explaining to me the memorial day that precedes the celebration of the establishment of Israel. What is called as the Nakba on the other side. 69 years have passed. I hate the numbers language. But 69 years and millions of stories. I was trying to think of something to write but I could not come up with any idea. I am going through the same sufferings because of my distorted identity and I don’t want to repeat myself so I went to the social media for an inspiration. And then I found out that one dear much-loved neighbour was killed by Israeli soldiers in the protests near the eastern borders in Gaza. He only went only to check the situation with his ten year old son who witnessed his father’s murder. All the heart breaking pictures and words were really hard for me to take, but one picture that made me nearly lose my mind. The ten-year old kid was wearing a military uniform in the funeral. Would this kid now accept ‘coexisting’? Will his other four siblings accept it? I was thinking about the child’s thoughts when he lays his heavy head on his pillow. And thinking of the disgusting people who are directing his justified innocent anger into further destructive hatred and violence. If this kid grew up and bombed himself causing the death of any soldier, don’t say he is a terrorist, don’t blame him, he will have unresolved mental and psychological issues. Try to understand that. How can I talk to this child and tell him that there’s another way to be angry? Why would he trust me? If I tell him I support peace he would see me as a partner in his father’s murder, and in all the suffering coming his way. Now he won’t have a good education because he has to support his family, his Mom is just a normal housewife after all. He’s not the first child to go through this. He won’t be the last. How can we embrace the children of conflicts without having any agenda? I’m thinking a lot about this. Another thing in my timeline was the number 50, two of my friends just turned 50. Also people are saying it has been a half century of occupation. I always hated math classes in school but I felt that something is wrong with the numbers. There’s 19 years missing, almost two decades. These two decades were behind my daily sufferings, and my people’s sufferings. I was angry to see that the reasons behind the traumatic events I and my family live through are being overlooked. How can anyone take 19 years of suffering away? If we really want to achieve peace we need to listen to each other stories and understand all the traumatic events every side has been through. Palestine won’t believe any peace or coexisting slogans that show the lack of understanding how traumatic ’48 still is — and how much impact it still has, even for the third generation after the Nakba. Facts are facts. Facts can be inconvenient. Conflicts are inconvenient. Achieving peace is more inconvenient than the conflict is. However taking inconvenient actions to achieve ultimate convenience requires a lot of courage. If you really want to work for peace you need to dive into all the inconvenience to seek a pure understanding of the feelings and beliefs of the other side. If you do so, you can achieve a common language which will lead to establishing a common ground. Where both sides don’t compromise out of sacrificing something precious, yet out of understanding, respect, and love. I don’t believe that the Palestinian-Israeli conflict is very complicated but also it’s not easy. If you want to take a part in an easy peace go to the nearest high school to you. Find a bully and a victim and make them friends. Or else, put everything you know aside and truly listen to the stories of people. Understand. Think again. Pause. Think again. Understand more and you will feel how truly different the conflict is from what’s in the media. On 9 July 2017 Team Children of Peace – Catherine, Helen, Tori (and Claire who was at a separate 10K event) – successfully ran the London 10K raising much needed funds to help the children. You can still donate to the team at JustGiving.com, because every donation you raise will truly help to build bridges, not walls. The latest issue looks at how sport can foster peaceful co-existence and focuses on a remarkable Israeli group – Budo for Peace. Plans had been put in place to allow men and women to pray together at the Western Wall – something the ultra-orthodox Jewish community strongly opposes, insisting instead on strict segregation. The compromise plan had received wide support – from comparatively conservative Jews as well as from feminist groups such as Women of the Wall. However now Netanyahu has reversed this decision, leading to anger both at home and abroad. US Jews are particularly perturbed by this move, perceived by many as symptomatic of a growing divide between Israel and diaspora Jews. Some think Trump’s strong pro-Israel stance is emboldening more hardline Israeli voices. Similar concerns have been prompted by a bill which seeks to make the Chief Rabbinate the only body authorised to convert people to Judaism in Israel. Back in April Mahmoud Abbas began to take tough measures in order to pressure Hamas to return control of Gaza to the PA – it blocked a range of financial supports and stopped covering the Strip’s electricity payments to Israel. Hamas turned to Egypt for relief from its problems – they sent approximately one million litres of diesel fuel to Gaza in June. Although some commentators believe that Abbas was trying to prove to outside forces, in particular the US, that he is serious about making peace, others now fear that the PA’s stance could drive Gaza towards war with Israel. And recent dealings between Abbas and the US Government have not gone well. Last month’s meeting with Jared Kushner, Donald Trump’s son-in-law as well as a White House official, focused on demands that the PA stop inciting violence and subsidising the families of those serving life sentences for murdering Israelis. Abbas countered that the US was taking a biased pro-Israel stance and insisted that in fact it was Netanyahu’s government which was extremist, not the PA.
Bashar Masri is determined to attract ambitious young entrepreneurs to his flagship city in the West Bank. The first phase of Masri’s job creation strategy is to turn Rawabi into a “cluster of technology.” And to do that, he needs to draw hi-tech workers and entrepreneurs. What are the things technology people like to see, the young westernised yuppie making a good income? They like fashion, nice food, and movie theaters. If he can attract the right talent and create the right atmosphere, Masri hopes Rawabi can become a Palestinian “Silicon Valley” that would generate on-site jobs and bring in outside investors. Masri is also keen to take advantage of Israel’s established strengths in this area, and hopes that some of its hi-tech work might be outsourced to Rawabi. He faces two main challenges – neither of which will come as much of a surprise. On the one hand he is seen by hardliners as ‘selling out’ to Israel. On the other, he is being held up by Israeli bureaucracy – he needs to build an entrance road to improve the city’s communications, but is still waiting for Israeli permission for this project. When I arrived at Rambam (Hospital), I saw a medical team caring for patients, but I also saw the suffering of the sick children. Palestinian, Israeli, Syrian and children from other countries receive treatment in the hospital for a variety of serious illnesses and need all the help they can get. I decided to contribute as much as I could, both as a humanitarian act and a symbol of solidarity. Although this is a heartening story, less positive is the furore over the patient’s identity. The PA has strongly denied any connection between the anonymous donor and Deputy Prime Minister Ziad Abu Amr. Government spokesman Yousef al-Mahmoud described media speculation as false and slanderous. It’s ironic that such a stigma should be attached to this act non-sectarian generosity. Israeli Jews from an Ethiopian background tend to have lower educational qualifications and find it more difficult to find a job. My profile picture on my mobile phone shows me holding a WalkMe sign. WalkMe certainly is a source of pride. It’s a growing company and I’m proud to be part of it. But I’m not blind. I’m the only Ethiopian in the building. There was no organized drive here to locate and integrate weaker parts of society. I’m young and sociable and I believe I also look good and am grateful, so it was easy to help me. Do you think that a 40-year-old Ethiopian cleaning woman with a rag on her hair would have been given the same opportunity? As the only fisherwoman in Gaza, Madleen Kullab faces still sharper challenges. When illness forced her father to give up work, she decided to follow in his path aged just 13. Now she works hard to feed her family of six. 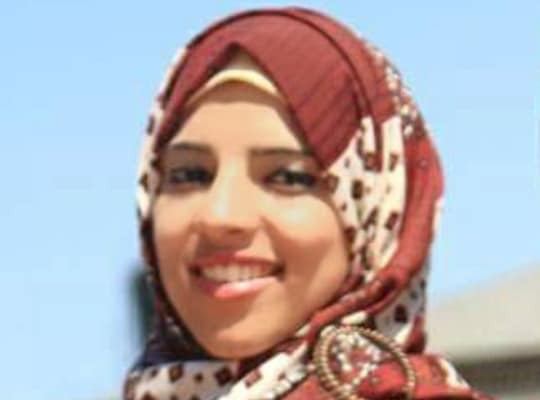 One problem she has had to contend with is the male dominated nature of Gaza’s fishing industry – this she had dealt with by demonstrating her skills, and, despite initial tensions, she says they now treat her like a sister or daughter. Another problem is the limit posed by Israel on Gaza’s fishing area, actively policed by Israeli forces. Because of this pressure, Madleen is reluctantly considering a change of career and is currently studying for a secretarial diploma.